Minister of Transport Nguyen Van The has asked the consultancy agencies of Long Thanh international airport to complete the project’s feasibility study by May 30, so the ministry can consider and verify it before submitting to the Government in early June. Speaking at a meeting on March 21 to review the progress of the project, Minister The said that the ministry will coordinate with the Committee for the Management of State Capital at Enterprises to finalise plans towards mobilising capital for the project. The plan is expected to be approved in October this year by the Government after being discussed at the National Assembly. After that, it must have a main investor to conduct biding, designing, capital mobilising activities for the implementation of the project, he said. Currently, the Airports Cooperation of Vietnam is in charge of the feasibility study of the project. The task is scheduled for completion in this October. At the meeting, Minister The lauded the progress in the project’s ground clearance, asking Dong Nai province, in which the airport is located, to distribute parts of compensations within this year. Long Thanh International Airport has a total area of more than 5,580 ha, spreading across six communes in Long Thanh District, the southern province of Dong Nai. It is set to have a total investment of 336.63 trillion VND (14.8 billion USD), with construction divided into three phases. 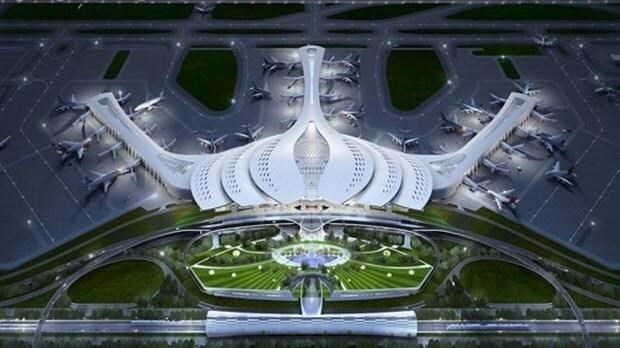 In the first phase, a runway and a passenger terminal, along with other supporting works, will be built to serve some 25 million passengers and 1.2 million tonnes of cargo each year. This phase is hoped to be finished by 2025. In the second phase, an additional runway and passenger terminal will be constructed to serve 50 million passengers and 1.5 million tonnes of cargo per year. Following the third phase, the airport will be able serve 100 million passengers and 5 million tonnes of cargo annually.